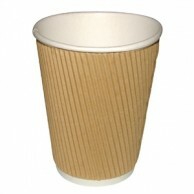 12oz x 50 8oz x 40 Cups with a unique corrugated insulating ripple wrap to provide high levels of heat retention and superior protection while handling. 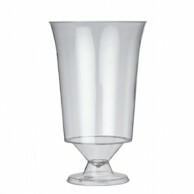 Can be used with the dome lids keep drinks at serving temperature and reduces the risk of spillage. Other quantities may be available. Please contact us if you have any queries. 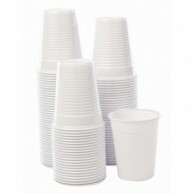 A cost effective alternative to using real glass, these white polystyrene disposable cups are great for conferences, parties or for use with water dispensers. 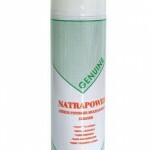 Pack of 2000 If you have any queries then please contact us. 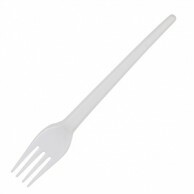 An economic range of white and lightweight plastic forks, ideal for BBQs and picnics. Pack 100 Please contact us if you have any queries. If this item is not priced then also please contact us. 10oz To Brim & 20oz (Pint) To Rim These disposable tumblers are made from flexible polypropylene and are crack resistant with a step-in base for stack-ability. Recycling Mode: Recyclable, Box quantity: 1000. Other sizes and quantities may be available. Please contact us if you have any queries. 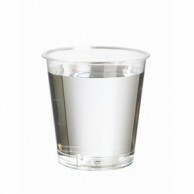 A pack of crystal clear and stackable shot glasses, ideal for tasting and promotional handouts. Disposable Shot Glass Crystal clear and stackable. Available in packs of 100 and 1000. Other quantities may be available. Please contact us if you have any queries.